Winning at poker these days is not always as simple as just playing a tight and aggressive style and avoiding tilt. Sure, these two things along with good game selection will go along way towards your success. And frankly at the very lowest stakes (NL2 and NL5 online, $1/$2 live) this is definitely still all that you need. However, once you start climbing up the stakes, you will notice that the regulars get quite a bit better. They aren't all just mass tabling zombie nits anymore like at the lower stakes. They have learned to think about hands on a bit deeper level and they are even actively considering how to exploit you in some cases! So the strategies required to beat the games as you move up start to change as well. 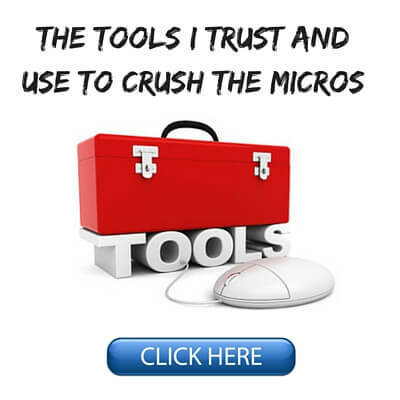 You can't just use the same cookie cutter strategy that everybody else is using and expect to turn a big profit. In this article I am going to provide you with 5 unconventional ways to start thinking about the game in an elite way and ultimately crush even good players. One of the biggest keys to moving forward as a poker player is getting rid of the idea that your opponent has AK or JT or 99. They don't have any of these hands. Instead they have what is called a range of hands. It is your job as a savvy hand reader to then understand the situation and the board, your opponent's actions and use that information to construct their entire range. That is, the frequency that they show up with each of these types of hands. You don't have to create exact numbers like this in every case and obviously they will only ever be rough guesses anyways. However, hopefully you get the idea here. We are interested in their entire range of hands. What particular hand they actually have this time is not important at all. They will show up with various parts of their range according to chance. So from here based off of the strength of our own hand, we can then take the most profitable line. And this is really just an exercise in logic. So for instance, in this situation our opponent's range is pretty weak most of the time (he only has a strong hand or the nuts 20% of the time). So re-raising would be a pretty poor option if we happen to have a strong hand or the nuts ourselves. This is because he will just fold most of the time. Therefore, we should just flat and let him continue to keep bluffing with the 80% of his range that we are ahead of. However, if we have a weak hand or nothing at all then 3Bet bluffing is a decent option here. We could also just fold as well if we think that this is the type of opponent who gets really sticky with his draws and weaker hands. Getting back to a point I touched on earlier is the idea that if you play the version of "good poker" that everybody else thinks they play, you will likely only become a mediocre winner at best. The best players out there today are the ones who are actively creating the cutting edge strategies which crush today's games. This is exactly why I always stay on top. You see, there is this silly belief out there that the games are so hard and unbeatable for any kind of a big winrate anymore. But there are countless examples every single year of people who shoot up the stakes like a rocket and prove this myth wrong all of the time. The reason why is because they are not zombie robot nits trying to copy some "TAG system" that they read about on some forum, in a book or saw in a training video. This is why I stress repeatedly in both of my books that my strategy advice is really only just a starting point to get you thinking about poker in the right way. It is up to you to actually learn how to fly. No book, coach, training video or forum guru can teach you that. Try weird stuff at the tables that everybody else thinks is crazy. Several years ago I pioneered the 10x raise at the lower stakes online with premium hands. Everybody laughed at me in the chat, on forums, everywhere. But once they realized just how well it was working they all started copying me. This is especially after I talked about it in my videos and books. Now everybody knows what it means and I basically never do it anymore when I play these limits unless I am against some total fish. When they zig, you zag. Don't listen the the masses of breakeven armchair experts out there. There is no such thing as a "standard play." It's been a little known secret for many years among the top players that the biggest differences these days are actually not in technical ability but in the mental game. Since fish are extremely rare these days at high stakes and almost all players are world class pros at this level, the games literally do not run unless one of them is on tilt. This should tell you everything you need to know about how important the mental game is. You simply cannot afford to tilt in today's games. You can immediately skyrocket your winnings by removing yourself from the tables when you are not playing your best. So this is why I think a stop loss strategy is a good idea for most poker players. If tilt is something that you have problems with to any degree, try creating a plan to remove yourself from the tables when you lose a certain amount of buyins. I have used a 5 buyin stop loss for years myself. But sometimes when I am in the grips of a particularly brutal downswing, and I know my patience is thinner, I will use a 3 buyin stop loss instead. The bottom line is that if you can prevent yourself from sabotaging your poker results like everybody else when things inevitably go bad at the poker tables, your results will improve rapidly. Conversely, any time you can cause your opponents to tilt and play worse is of course going to be a great thing for you. 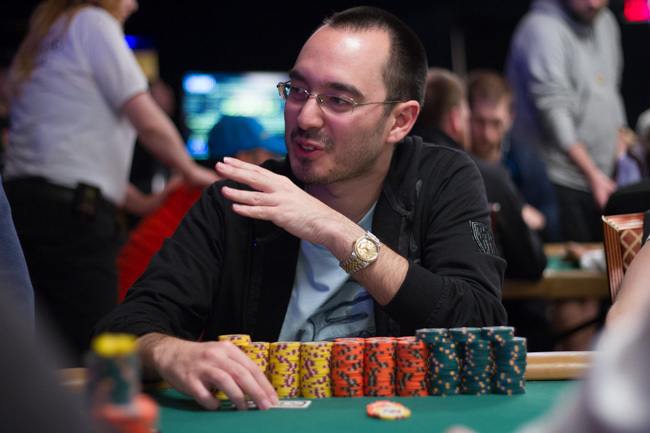 If you watched this year's World Series of Poker Main Event then you will know that William Kassouf is still being talked about and probably will be for years. And the crazy part is that he didn't even make the final table! The reason there is so much interest surrounding this guy is because he took table talk, or "speech play" as he calls it, to a whole new level, absolutely annoying the crap out of everyone and tilting the entire table. His constant stalling over very simple decisions also had everyone ready to grab him by the throat. Will is a solid poker player in his own right though and his overall "annoy everyone" strategy was working brilliantly. They were almost giving away their chips to him at times. Indeed, it took a huge cold deck and then a massive cooler (running his KK into AA versus another big stack) to spell his ultimate demise. Now I am not going to sit here and defend everything that he did or discuss it in great detail. I think they have to make some sort of rule to prevent massive stalling like this for simple decisions. But the speech play is fair game in my opinion. 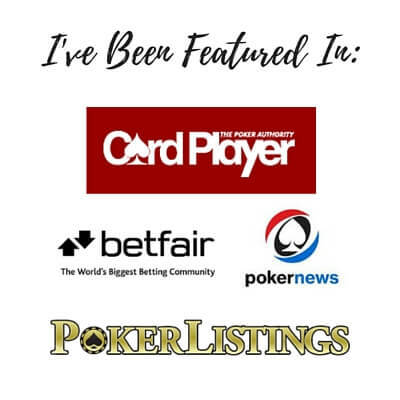 The bottom line is William Kassouf showed us once again how important it is to use every single tool available to you at the poker tables to your advantage. Every tool that is within the rules of course. I personally would never intentionally stall in my decisions and make the whole table wait unnecessarily. However, if there was a huge fish at the tables who I knew this would tilt the crap out of, I would certainly think about it. Constantly think outside the box in today's games. There is a chat box in online poker. I have advised against using it for years. But if you think that you can tilt someone with it, then go ahead. I have already written a popular article in the past about intentionally tilting the regs by 3Betting and bluffing the crap out of them. This is something that I regularly do and so should you. Raise your mental game but at the same time always look for ways to lower theirs. Something that good players have been doing more and more in recent years is taking a decent hand like middle pair or a weak hand like bottom pair and turning it into a bluff. Because mindlessly calling down and hoping to win with a pair is not a very good strategy for success at the poker tables. The other thing these days is that most regulars at the lower stakes still fear the turn and river raise in particular. This is because they have been told countless times that it is usually the nuts. And they are right, it usually is! So again, we should start taking advantage of this by doing the exact opposite of what they expect. When they zig, you zag. When all of the other low stakes regs only raise the river with the nuts and furthermore, they believe that everybody else is doing the same thing, we can take advantage of this by raising with plenty of other hands as well. Now his bet here of course absolutely reeks of a value bet. We are going to be behind a lot if we call. We really only catch his bluffs with AK or AJ. There really aren't any hands that a decent player is going to bet for value here that we are ahead of with a pair of sevens. So calling would be a pretty bad idea against most regs. However there is a better option than folding here which is to raise. If you think about his range for value betting this river there are very few nut hands in it. Furthermore, we can represent a ton of different scary hands like flushes, weird straight draws that got there, a slow played set, two pair and so on. In fact, you could probably get most regs at the lower stakes to lay down their AQ here with a simple raise. Look for situations on the later streets in particular where you are only really beating bluffs at showdown but you can represent a lot of scary hands by raising. Folding would be just fine here of course. That is the "standard play" after all. 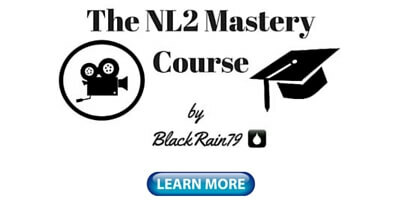 But in order to really win big in poker, you have to learn how to read ranges and boards a little bit deeper than this and find the hidden profit sources. 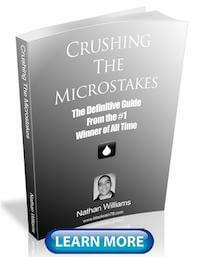 Becoming a huge winner in poker is not easy no matter how you cut it even at the lower stakes these days. The players are often decent and the fish are sometimes hard to find. 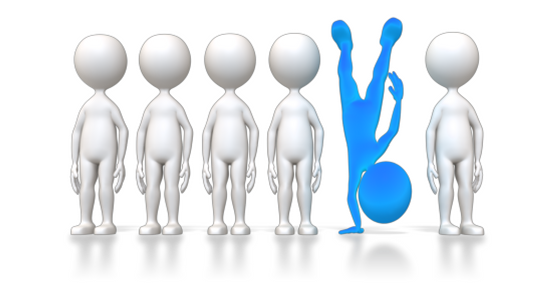 But the one surefire way to mediocrity is by listening to what everyone else says you should do. Nobody ever got ahead in this world by following that strategy. No, instead they decided to try new things on their own, test bold new ideas and push forward in ways that might seem weird to others at the time. 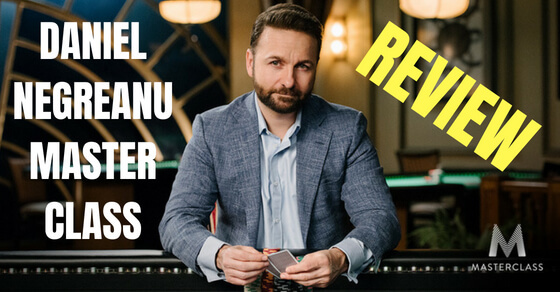 Hopefully a few of these unconventional tips will help you start thinking about the game a little bit deeper and ultimately make bigger profits at the poker tables. 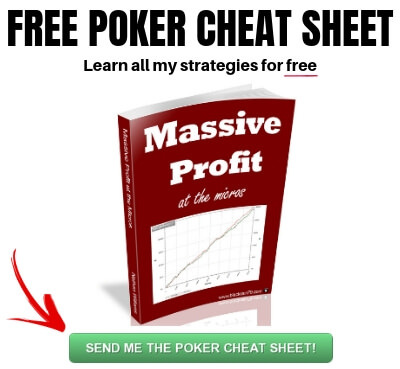 If you want to know how I created some of the biggest winrates in the history of online poker at the lower limits, make sure to check out my free poker ebook. 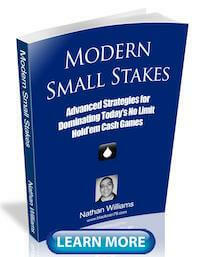 Let me know in the comments below what kind of weird strategies you use to crush the small stakes poker games! About the last point: in the last years people started talking a lot about "dont turn your hand into a bluff" which has its merits, but in general I strongly believe that this thinking does more harm than good in the long run. By bluffing early on with a hand like bottom pair you give yourself another way to win the hand, and you still have equity, later on you just start beating a lot more hands that can beat you at showdown but are likelly folding to a bet. Thanks Willian and for your thoughts as well! That's an excellent post, Nathan! I just got back at grinding after taking a couple of years of. I used to be a 25nl reg (you might remember me "Cardini 23"?) for about 2 years and burnt out pretty fast after bazillion tabling all the time. Later I had switched to husngs which really had helped my game - especially thinking about ranges. Also when I had switched to 6max 25nl I only played 6 tables and winrates got better again. Regarding unusual tools - I've found that lead/block betting oop for miniscule amounts like 1/3-1/4 or even less could be employed both for "laying yourself profitable odds" for medium + draw type hands and also for induction of a raise: Say I got suited connectors 76s on A8s5s. In that spot vs a villian whith whom I have enough history. He cannot just raise my donk lead with his entire c-betting range as I could be doing this with a couple of hands air, sets, or pair+draw. Often it will just win the pot just there for 1/4 bet which is excellent leverage. If I have a flashdraw I do not need to rely on implied odds, that could be difficult to estimate. If I bet a 1/4 and he decides to flat I am getting and excellent price for hitting my flush. And I don't need to always c/c a pocket that make 2nd pair on a board just to be folding 2/3 of the time unimproved when the 2nd barrel hits and board texture doesn't suggest hero calling with bluffcathers anymore. Thanks for the input and keep up the good work. Ya that screen name sounds familiar. Thanks for your input and all the best at the tables! 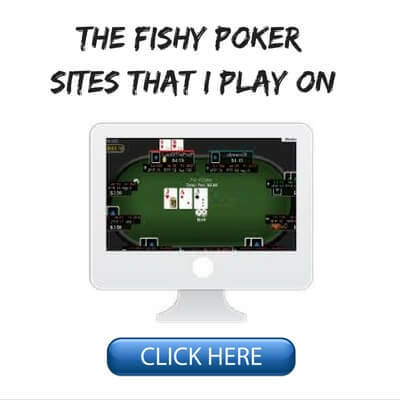 I am very curious why did you got back after a couple of years of not playing poker ... what motivated you ? I need an additional income; and I just remembered that I knew how to beat the game; for 2years been making a living at 25nl. I was just medicore and never evolved. Bazillion-bot-tabling had me stuck. I couldn't build my BR properly as I had no savings a needed to cashout all monthly winnings thus I never had a chance to really move up. In the end I broke even for some sick K hands and I had started to omit some bills - very bad spot...I soon realized I had to get a myself a day job again - which is fine with me; mylife style has greatly improved - I'm not spending 12h+ before the screen. I've become very interested in music - trying to teach myself the piano and music production - and that stuff is expensive ;) and if i can make a lil bit tax free...atleast that was my thinking; also now that I don't need to succeed I can finally play without pressure and really enjoy the game...it is a game finally again - and the games shall be fun not just a grind! I've put myself on a challenge though - trying to grind out my x-mas present which is a new pc for music and grinding...I'll keep you guys updated if interested. Started with 50$ acouple of days ago almost doubled it so far, but I am still not back to my A-game by a long shot. Best of luck at the tables for you all. And Nathan thanks again, reading your blog has put me back into the right mindset for this task again. Just in case you guys were interested, i have failed! badly! i wasn't very solid exactly playing mostly 2nl zoom 4 tabling, but i've had my time up to 50nl not exactiling doing proper brm and and u cannot call it shotting with 4 bi but the games are still very much beatable but I am just to medicore to have a significant edge to continue in a volume that's about 100k to turn a substantial profit...I might return some day merely for fun, but I need a side income without varicance...I wish you all best luck at the tables. Do you think it's ok to keep staying in these situations at the tables or it's better to leave anyway and loose this chance because you are on tilt ? I am completely lost ... for more than 4 days now I had fishes non stop at tables and everytime I wanted to leave because a sesion of 2 or 3 hours was over ... I encountered even more fishes .... so of course I stayed and I lost more money everytime ... and I am talking about big fishes 60 VPIP + .... I wasn't on tilt but the point is when do you leave the tables in this situations when the fish keeps making money but you know his luck will run out eventually ... unless he leaves the table first out of the blue.... it's very tiring to keep waiting for the fish luck to run out everytime ... do you usually stay in situations like this Nathan even if you are hungry / tired / lost focus due to long time etc ? If I am feeling good I will stick around. If I feel tilted, tired etc., I will quit. I would like add a small thing. You should only try to make regs go on tilt in cash games, because if you're messing with a rec, they can just simply leave the table and play at a different game where they can enjoy themselves. Of course, if you're playing tournaments, leaving with chips is not an option. Cool, I live in Bangkok too. i put in 30 buy ins for nl/2. Been mixing nl/2 with nl/5. only started this two weeks ago and i keep going up and down between 70$ and 80$. playing fairly tight but then get ahead and loosen up and bluff too much I think. I know i am playing mostly all the time and its hard not too. I really want to succeed and climb the stakes. had a hard time this morning laying down AA on the river when I knew villain probably hit his straight. I think some is variance today also...I am on ACR, David67. Kind of wish i would of deposited on ignition, i hear the games are softer there. Anyways, good post as always Nathan..you inspire me. i want to make a living at this and i will never stop.